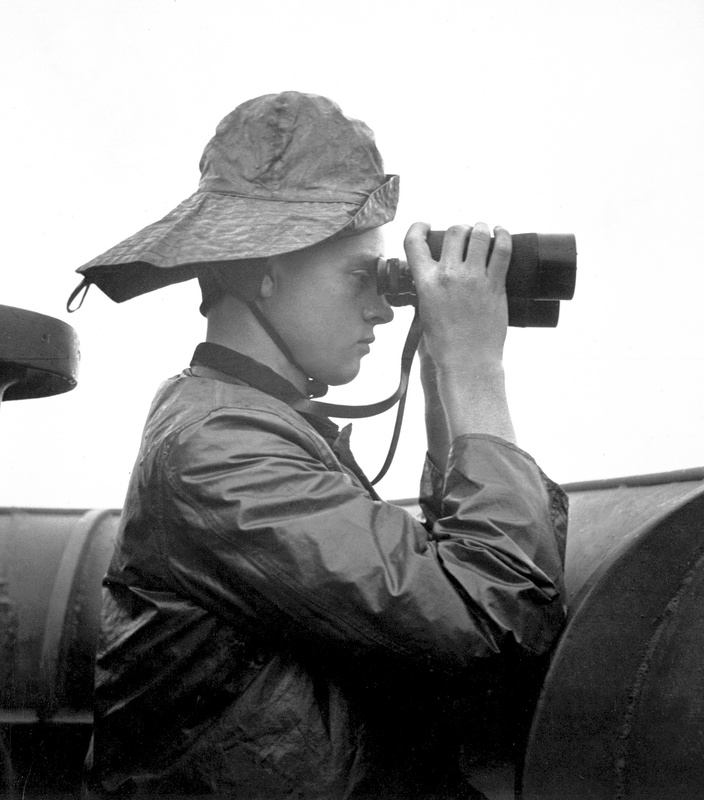 Lawrence Britton (SN2) on duty at prow lookout aboard USS NASSAU. October 1943. Lt. Wayne Miller. (Navy). Exact Date Shot Unknown NARA FILE #: 080-G-415475. Image Lawrence Britton (SN2) on duty at prow lookout aboard USS NASSAU HD-SN-99-02597.jpg available from Wikimedia Commons as Public domain photograph, original source is defenseimagery.mil.